Have you heard of StyleMint? It's a new, membership-only, e-commerce site that offers amazing T Shirts for the affordable price of $29.99. StyleMint is the brainchild of fashion designers and style icons Mary-Kate Olsen and Ashley Olsen (of The Row and Elizabeth and James). And they contacted me for a giveaway. One lucky winner will receive FIVE shirts! It's simple: sign up and fill out a Style Profile. Next, view your selections (many are available in multiple colors). And then shop! Shipping is FREE! You are under no obligation to buy anything and membership is free. Mary-Kate Olsen and Ashley Olsen design each T Shirt, and new designs are released each month! It's free to join! The shirts are only $29.99! StyleMint offers free shipping, and boasts a quality-made, perfect fit. In addition to the shirts, I also love the TopStyles! Based on my profile, I can see each shirt styled in the way I'd wear it, instead of just on a hanger. There's a video to accompany the shirts, and fashion experts (like Mary Kate & Ashley, Brad Goreski, and Emily Schuman) give their takes on how to style each shirt. I love the versatility of the shirts, as they fit everyone's style (think Modern, Classic, or Runway). You will find something to fit your style, no matter what it is! What's the giveaway prize and how do I enter? One winner will receive FIVE credits to StyleMint (a $150 value)! To enter, create a StyleMint profile. THIS IS MANDATORY! You will be disqualified without a profile. Leave a comment here with your favorite shirt! Repin this pin on Pinterest! BONUS: StyleMint has decided to give my readers a promo code LSEES15 for 15% off one item for first time StyleMint customers (valid for 10 days from the post)! This giveaway ends DECEMBER 16th! Hi Ellesees. 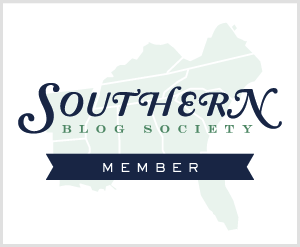 I love blogs but don't have one of my own. Just discovered you and this jem of yours! I heard about stylemint not too long ago and would love to win some of their t-shirts. My favorite is the Abbot Kinney in white b/c I am always looking for a great, basic, white t-shirt, and would love to try this one! p.s. I am following you on twitter, stylemint on twitter, you on bloglovin, and I tweeted about the contest! Finger's crossed!! What a great Giveaway! I LOVE StyleMint! great giveaway! i like the pacific shirt, and follow you on google & twitter. Awesome post! I'm going to look up Stylemint right away. I am in love with the Lenox shirt in black and cherry tomato stripe!! I have heard about stylemint before, but I have been leary about membership sites - however I just signed up and I have to say I'm pretty excited!! I follow on GFC! What a great giveaway - YAY! I also follow on BlogLovin'! I joined and I love the Bixel tee. I have an account with Stylemint and my favorite is the polka dot shirt! Follower of Stylemint on Twitter! I follow your blog and made an account :) I think my favorite shirt is the fillmore! Awesome giveaway! I'm a follower via GFC! I follow on Twitter @Bicoastal_Bride! I follow StyleMint on Twitter @Bicoastal_Bride! I love the Bixle tee! I follow your blog on Bloglovin' - hope you will follow mine as well! Elle! Love this giveaway! my fave is the Charlton! thanks for sharing girl! I also follow you on bloglovin :) Maca B. What a great giveaway! I think the Bixel is my favorite. I've already been following you on GFC, bloglovin' and twitter. Following @stylemint now too. I'd def want the Wilshire or the Venice! What an amazing giveaway! Just joined :) Love love love Charlton in black. the venice is super cute, love the bright stripes! ooh, and i follow you on twitter! ohh what a fun giveaway, sigh, if only I live in the states!! I am in love with the Charlton - it's TDF! Thanks for the giveaway! 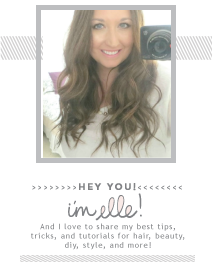 I'm following you on Bloglovin too! I absolutely love the Venice shirt in the party pink stripe. Pretty sure I follow you on GFC, I know I do on blogger. I joined and I love the Lincoln shirt - so drapey and casual! I love the striped broadway shirt! So many pretty options to pick from! i love the broadway in red. I have a profile with StyleMint and I just love the Lincoln tee in heather grey. It looks so unbelievably comfortable! I follow @StyleMint as well. Love the site. And awesome Giveaway too! I loved seeing my looks! I like the Bixel in black! I have a StyleMint profile. My favorite shirt is the Broadway! That's a great Giveaway! Thank you, Style Mint! Great giveaway!!! I love the pink shirt! I am following you now! Newest follower! I made a profile! The Hudson in black/charcoal is my favorite. This site is too cool. This is probably the best giveaway I have ever seen. 5 shirts? That's like an entire wardrobe in tops. My favorite shirt from the website, hands down, is the red striped Broadway one! what a fantastic giveaway. :) i am going to put the kids to bed later and sit down in peace to hopefully enter this giveaway. hope you're having a fab day! I'm a member of SM (& I've created a profile)! This month, I went very simple & ordered the plain white Newbury (needed one for layering!). The Wilshire would be cute! Thanks for the giveaway dear! I just found you on Twitter and it would be fun tweeting with you anyway! awesome giveaway! i created a profile and I love the broadway! I follow you on Twitter (MegganKibler)! I like the newbury one, it's cute/simple. I love The Hudson. So cute! Elle I love this I looked, did my profile and I adore the Mulholland or the Magnolia!! I am following you on Twitter!! Woohoo! Also following Style Mint on Twitter!! My favorite shirt is the Broadway! I repinned your pin on Pinterest. My favorite shirt is the polka dot Charlton! Follow Elle Sees on Twitter @nicoleq73. I'm also following you and Stylemint on Twitter, AND repinned. follow you on twitter (@sandyalamode)! follow stylemint on twitter (@sandyalamode)! the "pin" has been "re-pinned!" I follow Stylemint on Twitter. My favorite is the Newbury tee! I follow StyleMint on Twitter (@Cabootique). The Venice top in pink is to die for! Gorgeous! I love StyleMint, and the Broadway shirt in red is so Parisian and my style! :-) Hope I win. 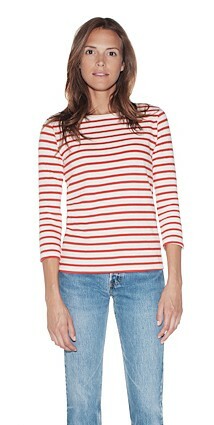 I've been looking for the perfect striped shirt - Lenox definitely fits the bill! I am already apart of Stylemint! Ok doll just created my profile on Stylemint and of course following you through all your channels except twitter (don't have one). I'm following StyleMint on twitter! I love the Charlton! So adorable. and i follow you on twitter too! bixel. black. drool worthy. thanks! I created an account and my favorite shirt is Broadway. I'm following on google friend connect. p.s. I just checked out their website and it's really cool how they interview you to find out your style before your get your profile. i just tweeted about it! I'm following you and Stylemint on Twitter and tweeting about it after I make my comment! i made a profile! and my favorite t-shirt is the Fillmore! I love the Broadway! I created a profile and am a follower of yours on bloglovin and twitter! Thanks for your comment and recommendation on the giveaway!